We’re about a month away from Big Ten basketball once again being a part of our lives. Things at the B1G microsite have been quiet since then, but that doesn’t mean nothing has happened since last April. So here’s a quick refresher to get everybody back up to speed since we last saw Wisconsin lose a heart-breaker to Kentucky in the Final Four. These 10 offseason storylines are in no particular order, but they will impact what will happen this season. 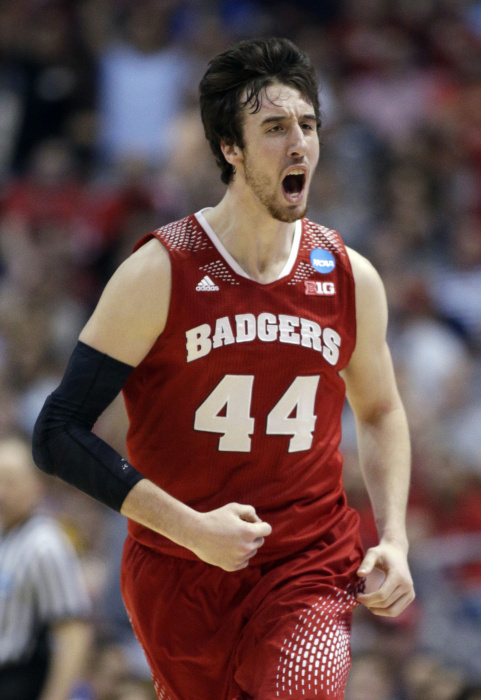 Frank Kaminsky and Sam Dekker Returned to School: Postseason souting reports had Kaminsky going everywhere from #15 to #45 in the NBA Draft, even after a regular season where he led the Badgers in scoring and contributed NCAA Tournament averages of 16.4 PPG and 5.8 RPG on 55 percent shooting from the field. Dekker probably could have pursued NBA riches as well, but they both came back to Madison, making the Badgers — with two other returning starters in Josh Gasser and Traveon Jackson — an almost unanimous conference favorite. Gary Harris and a Quartet of Michigan Players Didn’t: Things aren’t quite as rosy in East Lansing or Ann Arbor as far as preseason outlooks go. That’s because to the surprise of almost no one Gary Harris departed for the NBA after his sophomore year. This means that the Spartans will be without three of their four double-figure scorers from last season’s Elite Eight team. Meanwhile, Michigan is rebuilding things from scratch after the early NBA departures of sophomores Nik Stauskas, Glenn Robinson III, and Mitch McGary. None of the trio was ever a sure thing to jump to the pros, but things got especially wonky when it was learned that McGary would be suspended for the entire 2014-15 season due to a positive drug test during the NCAA tournament. Another Michigan gut punch was the transfer of Jon Horford to Florida, leaving the Wolverines with almost no experience on the front line heading into this season. Expansion Officially Became Official: It’s been known for a while now that Maryland and Rutgers would be joining the league during the offseason, but it finally happened on July 1. Fall sports fans have probably already gotten used to the idea of the Terps and the Scarlet Knights as league members, but Big Ten hoops heads might take a little longer to get used to the idea. Maryland Additions and Departures: Any fans that followed last year’s Terrapins in order to learn something about the team before it became a member of the conference should probably just crumple up their notes and toss them into the nearest fire pit. The Terps’ top eight players in terms of usage all have eligibility remaining, but five of them will be completing that eligibility at other schools around the country. For those keeping score, Seth Allen, Shaq Cleare, Charles Mitchell, Roddy Peters and Nick Faust all left the program during the offseason. Coach Mark Turgeon brought in three top 100 recruits, however, and Georgia Tech’s Robert Carter also transferred in. Add it all up with some quality returnees like Dez Wells and Jake Layman, and it would be safe to say that Maryland will be a bit of a wild card in this year’s league standings. Ohio State Adds Anthony Lee: The Buckeyes lost three starters from last year’s 25-10 squad, but they still have experience in a senior class headlined by Shannon Scott and Sam Thompson. 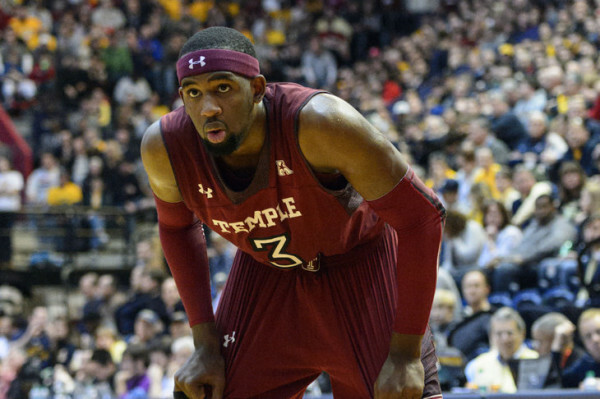 Their outlook got brighter when Temple forward Anthony Lee decided to play his senior year in Columbus as a graduate transfer. Lee has never averaged less than five boards per game in his career, averaging 13.6 PPG and 8.6 RPG during his last year at Temple. The 6’9″ forward should be able to step in and contribute inside right away, helping offset some of the inconsistency displayed by returnees Amir Williams and Trey McDonald. Purdue Adds Jon Octeus at the Last Minute: After a disappointing finish last year, Purdue added some quality depth when Jon Octeus joined the team this week. Octeus had a nice run as a reserve for a 26-9 Colorado State team that reached the round of 32 two seasons ago, and if you haven’t seen him play, think of a glue guy like Raphael Davis with a little more scoring ability (13.4 PPG last season). Tracy Abrams is Out For the Season: Illinois got some bad news about a month ago when its senior leader, Tracy Abrams, blew out his knee in a workout. This puts the onus on the combination of transfer Ahmad Starks (Oregon State) and sophomore returnee Jaylon Tate to take over the floor general minutes from the Chicago native. Leslee Smith Suffers the Same Fate for Nebraska: An extremely underrated part of the Nebraska basketball renaissance last season was the play of Leslee Smith, specifically for those that love advanced metrics, as he too will be out for the season with an ACL tear. Despite only playing 42.0% of last year’s available minutes, he finished among the top 10 in the league in offensive rebounding rate, defensive rebounding rate and steals percentage. While his total averages in those categories wouldn’t seem significant on their own, Georgetown transfer Moses Abraham and freshman Jacob Hammond will be called upon to do some of the dirty work that Smith did so well. Legal Troubles for Iowa: Two players who are expected to play a big role for the team were arrested for alcohol-related offenses in the offseason. Peter Jok and Josh Ogelsby both were defended by Fran McCaffery, who also went to bat for Zach McCabe — a senior who has already exhausted his eligibility — after his arrest as well. Jok and Ogelsby should play heavy minutes on the perimeter for this year’s unit, and after the tailspin that was the 2013-14 finish, Iowa isn’t off to a great start with these arrests already making headlines for the wrong reasons. Penn State Quietly Makes Some Recruiting Headway: Pat Chambers has signed two top 100 recruits for next season in Mike Watkins and Josh Reaves. With an experienced roster that should be much better this season even without Tim Frazier carrying the offensive load and things picking up on the recruiting trail, Chambers is quietly making Penn State an attractive location for players in the Mid-Atlantic region. This entry was posted on Wednesday, October 15th, 2014 at 4:52 pm by Brendan Brody	and is filed under big ten, microsites. Tagged: anthony lee, feature, frank kaminsky, Gary Harris, illinois, iowa, jon octeus, Leslee Smith, maryland, michigan, michigan state, mitch mcgary, nebraska, ohio state, penn state, purdue, Robert Carter, rutgers, tracy abrams, wisconsin. You can follow any responses to this entry through the RSS 2.0 feed. You can leave a response, or trackback from your own site.